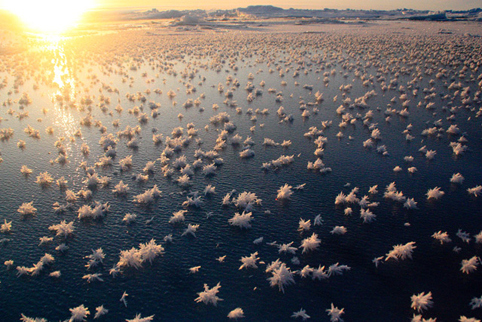 Does this not make you feel small and filled with wonder? 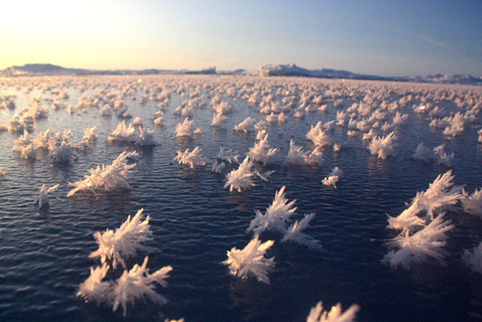 I found these beautiful photos of the frost flowers in the arctic ocean on This is Colossal. Apparently they are teaming with life. Darren and I met in London eighteen years ago. At the time he was a handsome poet, he is now a handsome cynic. I was a skinny feminist, I am now a plump realist. Along the way we got married and had two beautiful boys. Our interests and obsessions have slowly merged and ONCE is our first communal venture.